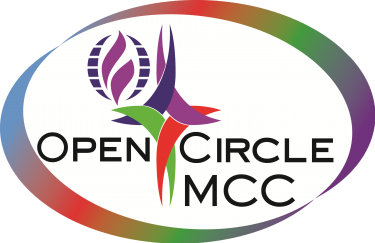 Open Circle MCC is a blended empowering community in Christ committed to spiritual development and outreach while celebrating the worth and dignity of each person. Read below to find out more! 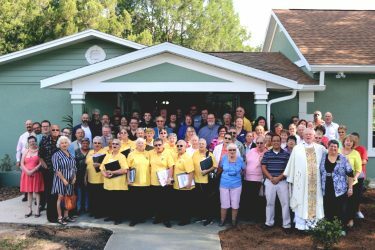 The mission of Open Circle MCC is to provide a faith community based on inclusivity and hospitality, involving people in the tri-county area in meaningful worship, faith development and mission of peace, social justice and service. “Come, taste and see. Jesus Christ, You invite all people to Your open table. You make us Your people, a beloved community. You restore the joy of our relationship with God, even in the midst of loneliness, despair, and degradation. We are each unique and we all belong, a priesthood of believers. Baptized and filled with your Holy Spirit, You empower us to be Your healing presence in a hurting world. We expect to see Your reign on earth as it is in heaven as work toward a world where everyone has enough, wars cease and all creation lives in harmony. We affirm Your charge to all of humanity to care for the land, sea and air. There we will actively resist systems and structures that are destroying Your creation. With all of creation we worship You – every tribe, every language, every people, every nation. We know You by many names, Triune God, beyond comprehension, revealed to us in Jesus Christ, who invites us to the feast. Open Circle MCC has a rich history considering the relatively short while that it's existed. 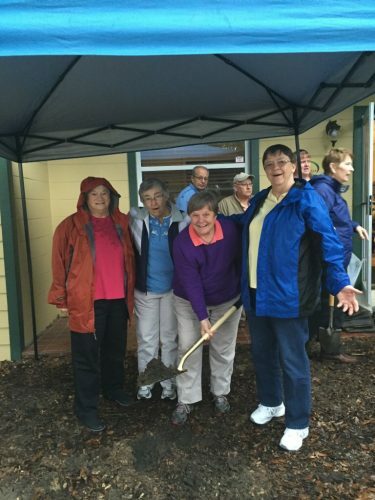 Read our history timeline to learn more about Open Circle MCC's past and present here.